The biological sample concentrator that is miVac concentrator is a secluded scope of diffusive vacuum concentrators. They are utilized in solidifying the driers which are equipped for expelling the water and natural solvents that are present in an assortment of test groups including tubes, microplates, and vials. You can find three types of miVac sample concentrator in the present market. 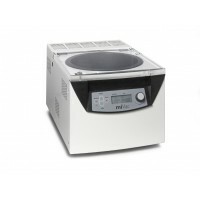 They are – The first one is miVac Duo concentrator, the other one is miVac Quattro sample concentrator, and the last one is miVac scroll pump concentrator. 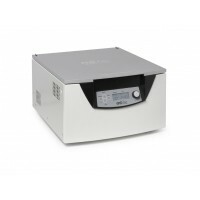 You have to decide or select what type of concentrator is suitable for your laboratory. The miVac Duo sample concentrator is used for low sample numbers and miVac Quattro sample concentrator is for larger number of samples. Also, it is possible to consolidate with a Duo, Quattro or Scroll vacuum siphon contingent upon the solvents being concentrated. And include further choices, for example, the one of a kind Speed Trap cold device and vacuum controller. The special kind of Jet Rotors, strong aluminium, and implicit uncommon techniques advance the grouping of water and water blends which enhances the execution and also for diminishing the time. The SpeedTrap of miVac may likewise be utilized for the freeze drying the low volumes of water. It can also be worked as an independent little volume solidify drier, or designed as a solidify drying workstation or consolidated fixation. Here, miVac Quattro sample concentrator is utilized in the high throughput laboratories. So, the miVac Quattro sample concentrator is used for large number of samples. This is the reason they are used in high throughput biological laboratories. So, it used in removing high range of solvents from the sample and even from the water and offers best of class performance to remove solvents in high throughput laboratories. Duo Basic Package, comprising, miVac Duo (without rotor), miVac Duo Pump, tubing kitFeatures & B..
Duo Plus Package supplied with miVac Duo (without rotor), miVac Duo Pump, miVac SpeedTrap, tubing ki..
Quattro High Package, comprising, miVac Quattro (without rotor), miVac Quattro Pump, SpeedTrap, tubi..
Quattro Low Package, comprising, miVac Quattro (without rotor), miVac Duo Pump, SpeedTrap, tubing ki.. Subscribe us to receive the latest industry news, products info & services.